BELLEVUE, Wash. — A satellite startup called EarthNow is laying out the details of its plan to blanket our planet with high-resolution, real-time, live-video coverage from a 500-satellite constellation in orbit, with support from Microsoft co-founder Bill Gates, Europe’s Airbus, Japan’s SoftBank Group and other high-profile backers. The revelations come a year after Bellevue-based EarthNow raised $6.6 million in a seed investment round from those financial backers. “The purpose of the seed phase was to make absolutely sure that we could do this,” founder and CEO Russell Hannigan told GeekWire. 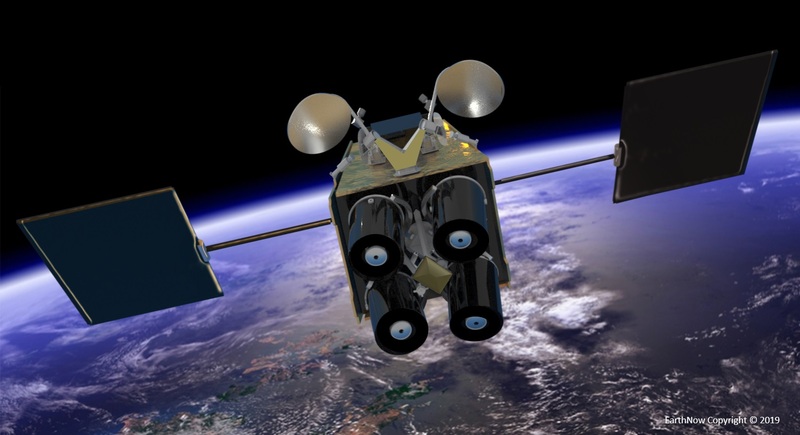 If a follow-up Series A round comes together the way Hannigan and his team hope in the next couple of months, the venture could launch its first experimental “pathfinder” satellites by the end of 2020, setting the stage for a wave of operational satellites in 2022. Hannigan discussed EarthNow’s roadmap last week during an interview at Intellectual Ventures’ Bellevue headquarters, which currently serves as the spin-out’s base of operations. He’ll be discussing the details with other satellite industry executives this week at the SmallSat Symposium in San Jose, Calif. This entry was posted in GeekWire and tagged EarthNow, Satellites, Space, Video. Bookmark the permalink.